Everyone knows that apart from diamonds, shoes are a girl’s best friend especially when the shoes in question are for her forthcoming Wedding in Spain! Wedding shoes are a dilemma for any bride let alone a bride getting married in Spain. With such a vast choice of wedding venues and destinations such as the quaint town of Mijas with its cobbled streets & white sandy beaches in Marbella in Andalucia Southern Spain, the picturesque island of Majorca hosting sophisticated & romantic rustic venues, or the cultural and historical City of Barcelona. So the question is will the shoe fit the wedding setting in Spain? Getting married in Majorca or Costa del Sol, Southern Spain; try a pair of flip flops for your beach wedding setting. 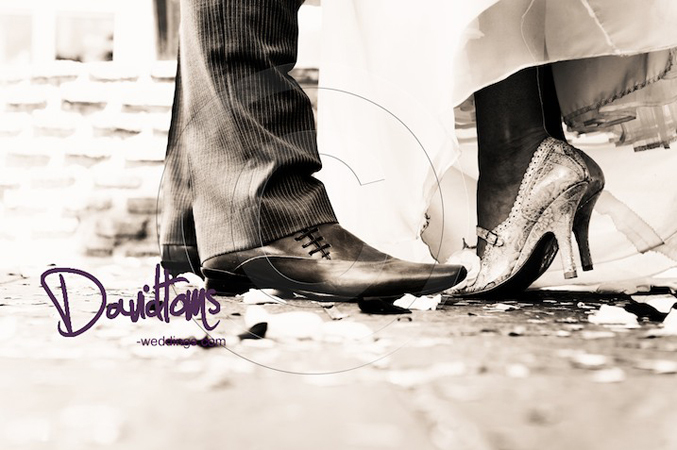 Getting married in rustic and traditional Spanish settings such as Majorca, Barcelona, Seville, Mijas; your shoes could have a vintage feel so you can drift across the cobbled streets and paved courtyards feeling comfortable and timeless. Wear your shoes round the house for a few hours each day for up to a week, this will help wear them in and get you used to the feel and height. Most dresses are full length and too the ground so shoes can be hidden if you are worried about how they look as apposed to how they feel. However if the groom decides to buy her bride a pair of Jimmy Choo’s what girl, even if you are getting married in Spain, could refuse such a wedding gift !! !